St. Patricks Day is right around the corner and it's always fun to make up something fun for the kids to hand out to their friends and family members. 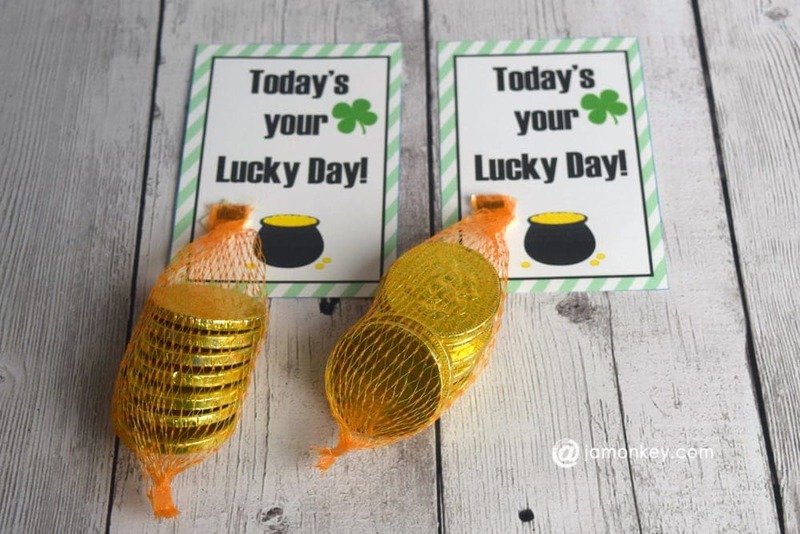 I created an adorable Lucky Day Printable for you to print out and assemble yourselves. While browsing around Target I found these Golden Chocolate Coins in the Dollar section and snatched up a few because I knew they would be perfect for this project. 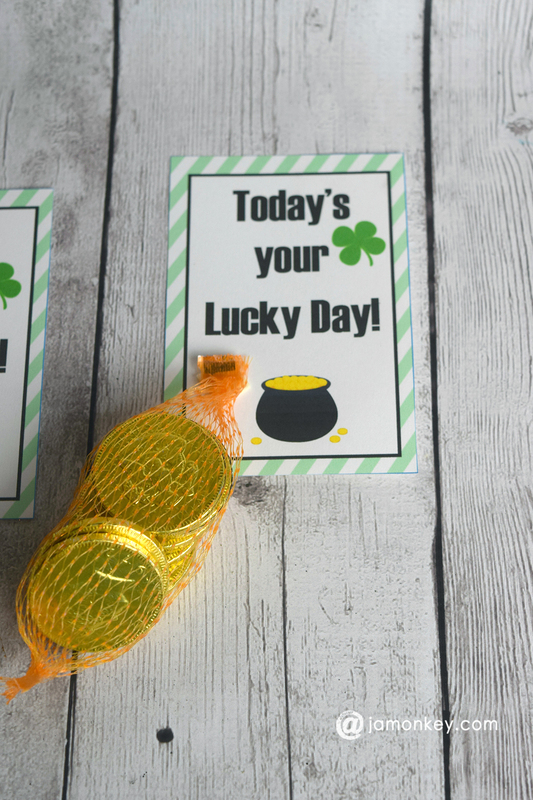 Print out the Lucky Day printables on an 8.5″ x 11″ white cardstock sheet using your colored printer. 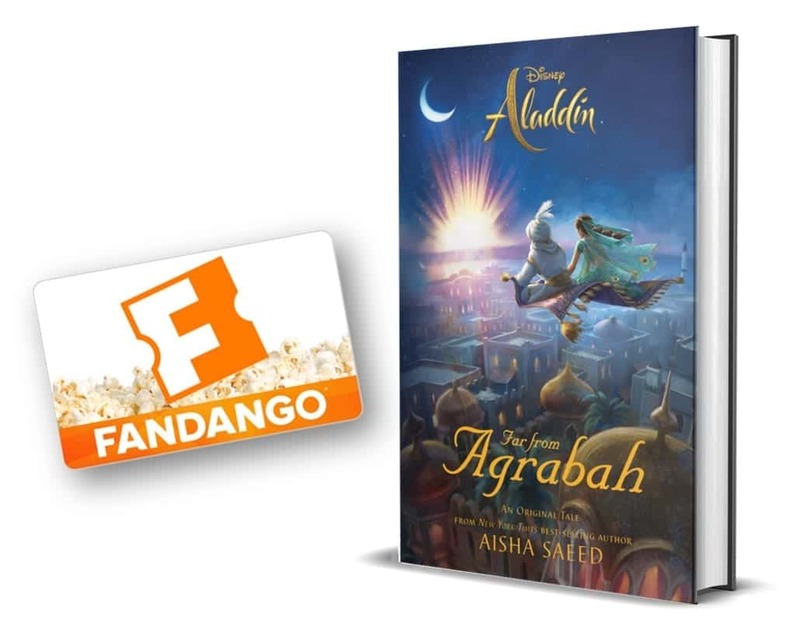 This file will print four cards per sheet so print as many as you may need. Once they have printed cut along the edge and it's time for assembly. Grab your double-sided tape or mounting squares and place on the lower left corner of the printable. Apply your golden chocolate coins to the tape and press down firmly for a few seconds. That's it! The kids are going to love these!